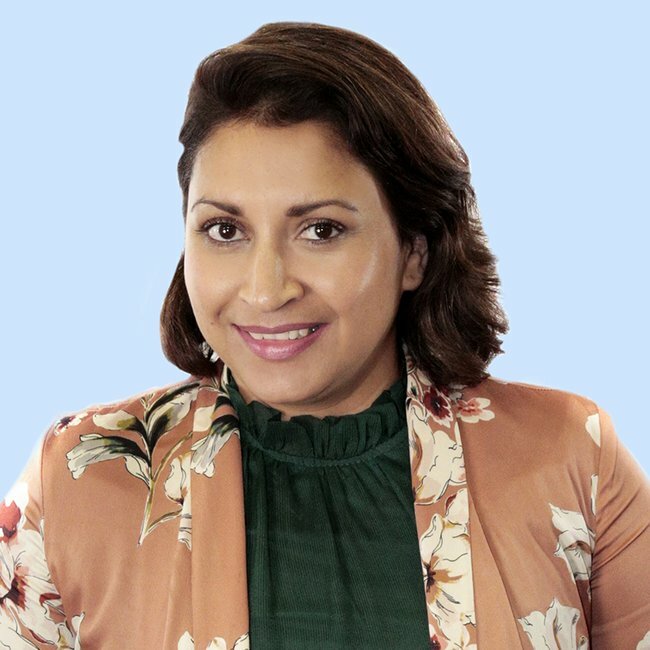 "The best educational tools which helped my child learn and grow." "I watched my son learn and grow with five items parents have loved for years." Every parent knows that the best way to get their kids to learn is by getting them engaged in a way that isn’t forced. I found that was definitely the case with my kid. Having a creative mind, he responded best to unstructured learning when he was very young. So, in my experience, the best learning happens when it’s not obvious to the child that they are, in fact, learning. My son’s 11 now, but I can clearly remember the educational resources that he used – and enjoyed – the most. But wait…isn’t “educational” a byword for “boring”? Not in these cases. These are the tried and true products that I remember him loving growing up. 1. 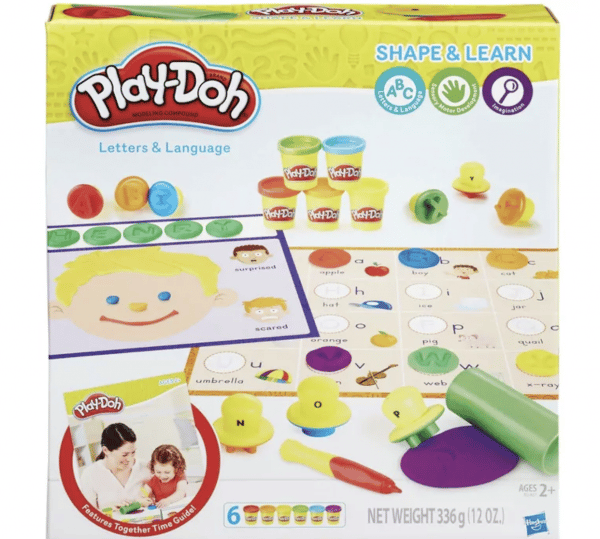 Play-Doh Shape and Learn Letters and Languages. My son was obsessed with Play-Doh from a very young age. 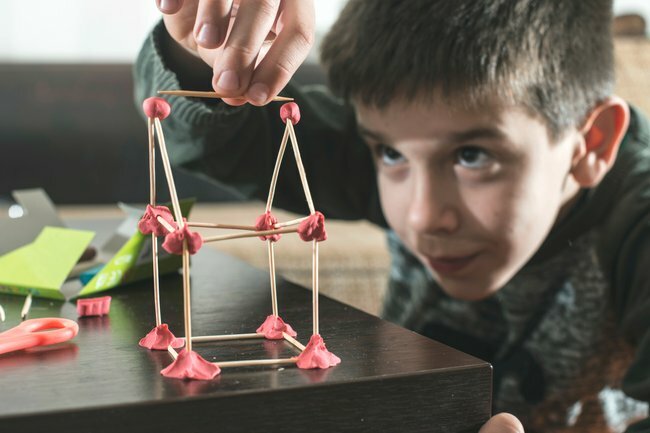 It might seem simple and fun on the outside, but there&apos;s proper learning going on: it&apos;s always been a product designed to encourage creative thinking, help develop fine motor skills, and hand eye co-ordination. I love that you can get sets with different cutters, like animal shapes, or my personal favourite: Play-Doh Shape and Learn Letters and Languages. This particular set includes 26 letter stampers, a stylus, roller, two double-sided playmats, and six tubs of Play-Doh modelling dough - all of which are designed to teach the basics of literacy such as letter recognition and sounds, in a creative and engaging way. Who said you can&apos;t learn just by rolling around Play-Doh? It was definitely the first step in my son flexing his creative muscles. And it&apos;s recommended for kids around three to four years of age - key development years. Discovering the human body is one of the most important - and interesting - things a child can learn about. Having a grandfather who was a doctor with an interest in anatomy, my son had access to a life-sized skeleton to learn about the human body! He was fascinated by it, and I recall he asked lots of questions about it, such as "Why do we have so many ribs and not just one big piece?" 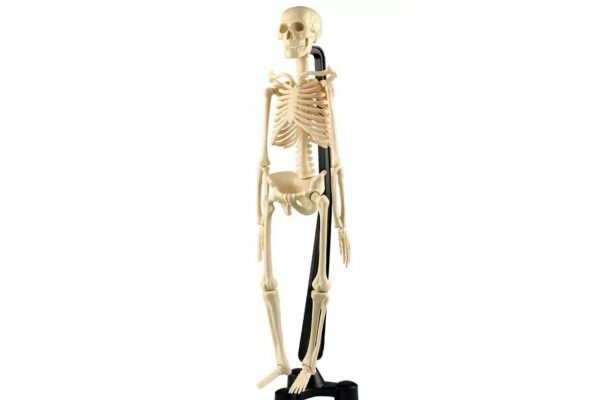 But if you, ahem, don&apos;t have access to a full-size skeleton, here&apos;s the next best thing: the Fandex Mini Skeleton ($23.95). It&apos;s the perfect teaching aid because it&apos;s small enough to be easily explored by small hands - it measures just 46 cm tall - and is made from durable material. The skeleton also comes with a stand for easy storage. It&apos;s suitable for ages seven and above. 3. 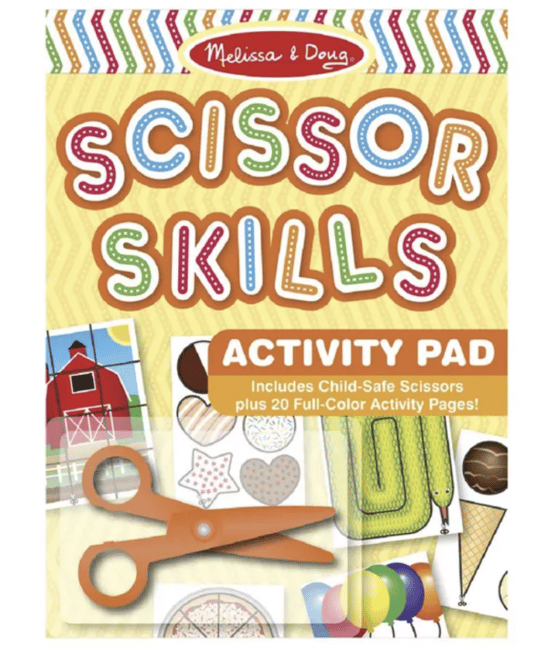 Melissa & Doug Scissor Skills Active Pad. If your young child is anything like mine was, they&apos;ll be fascinated by scissors in inverse proportion to their ability to use them! I found that constructive activities were the fastest and most effective way to teach scissor safety - as well as basic scissor skills that all kids need for arts and crafts, which forms the basis of much of their learning in the junior years. The Melissa & Doug Scissor Skills Active Pad has 20 projects to teach your little ones different skills and techniques - from simple to complex - by practising with scissors designed with safety and kids in mind. It&apos;s recommended for ages five to eight years old, but is suitable for all ages. 4. 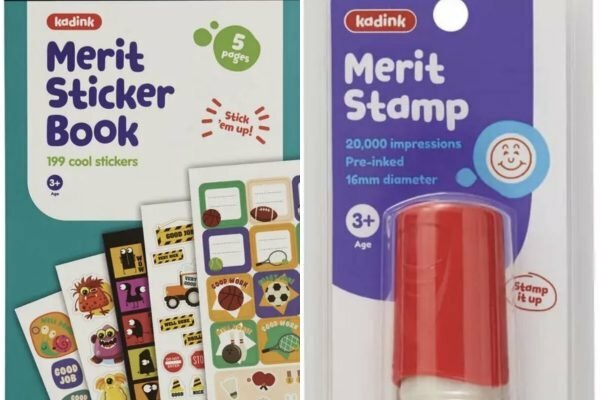 Kadink Merit and Reward Stamp and Sticker Book. So, this was the part that my son loved best as he was growing up: reward and recognition. In fact, I&apos;m sure that if I offered him a red smiley stamp right now, he&apos;d happily accept it. In fact, if someone offered me a red smiley face stamp right now, for being an awesome mum, I&apos;d accept that, too! But seriously - we all know that reward and recognition is a vital part of childhood - because we were all once little kids, vying for gold star sticks and smiley red face stamps on our hands as the ultimate mark that we&apos;d done a job well - or encouragement to keep on trying. The Kadink Merit Stamp Smile Red, retails for $4.88, and will not only put a smile on a small child&apos;s hand, but a smile on their dial, too. And kids will love using the Kadink Merit Sticker Book ($2.87!) to proudly display all their achievement and recognition stickers. Grammar is one of the trickier skills that kids need to learn as they grow. As a writer myself, I&apos;m passionate about kids (including my own) getting a grasp on grammar on early on. In my opinion, Oxford&apos;s reference books are a great resource, including the very helpful Oxford Primary Grammar Handbook ($30.95). 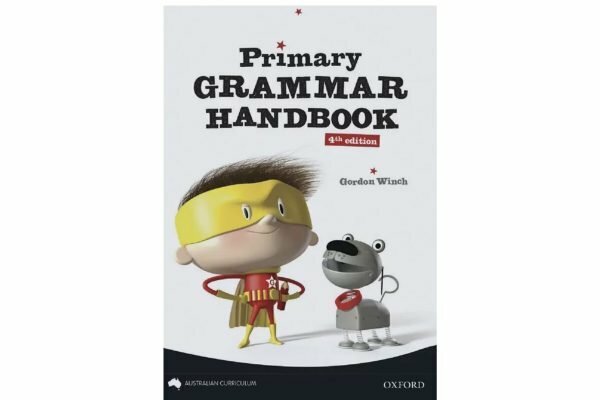 This handbook has been updated to comply with the Australian English curriculum. It&apos;s really user-friendly, with items clearly arranged in word level, sentence level and text level sections. It&apos;s recommended for ages seven to eight, but really, can be used for all ages. As it should be! The other thing parents will love about this product is that by purchasing it, they&apos;re contributing to the Restoring Australia initiative in which Officeworks will plant two trees for every one used, based on the weight of paper-based products that customers buy at Officeworks. Now that&apos;s an investment in the future in every sense. These products are just a few of the thousands of educational tools in the Learn & Grow range at Officeworks, which includes more than 4200 items for different ages and skills sets, targeting vital skills like hand-eye co-ordination, imaginative production and literacy. And those are skills that never go out of style. Shop the full Learn & Grow range instore or online at Officeworks.com.au. This content was brought to you with thanks by our brand partner, Officeworks. At Officeworks, we know most parents want to dedicate more time to their child’s development. That’s why we’ve introduced a Learn & Grow range to help you combine your kids’ playtime, with exciting new ways to learn and grow. And with thousands of quality educational tools at low prices, Officeworks has everything you need to make at-home learning easy and fun. Shop our full Learn & Grow range online at officeworks.com.au.